Indian authorities today took back 31 Rohingyas, who were stranded on the eastern borders with Bangladesh for four days, as Bangladeshi border guards declined to let them cross the zero lines, officials and witnesses said. “The BSF (India’s Border Security Force) wanted to push them into our territory but eventually they took them back,” Border Guard Bangladesh’s (BGB) commander in eastern Brahmanbaria region Lieutenant Colonel Golam Kabir told BSS as he was reached in Dhaka over phone. 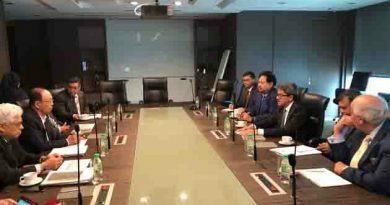 He said BGB held two rounds of talks with their Indian counterparts in India when “they tried to tell us the Rohingyas entered into India from Bangladesh which we refused to accept as those were carrying Indian refugee cards”. “We even told the BSF if they were Bangladeshis expose them to justice in your country in line with your law for trespass charges,” Kabir said. Residents in the neighborhood said the BSF people took the Rohingyas back to their mainland by 10.30 am after they languished on the zero lines amid severe cold. 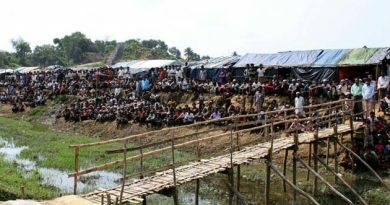 The development came while media reports suggests nearly 1,300 Rohingyas crossed into Bangladesh through crossed barbed-wire fences from India in recent weeks as fears of deportation to Myanmar spark an exodus. 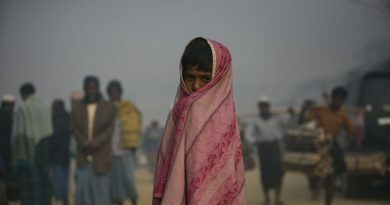 Kabir said BGB gathered information that some of the Rohingyas were brought from refugees camps in India’s Jammu and Kashmir. Bangladesh by now hosts over a million Rohingya in makeshift refugee camps in its southeastern Cox’s Bazar district as they fled a Myanmar military crackdown in August 2017 generating the worst refugee crisis in the recent history. The United Nations said senior Myanmar military officials should be prosecuted for genocide in Rakhine state, but the country insists it was defending itself against militants. ← German Chancellor Angela Merkel wishes every success of Bangladesh Prime Minister Sheikh Hasina’s new term in office. 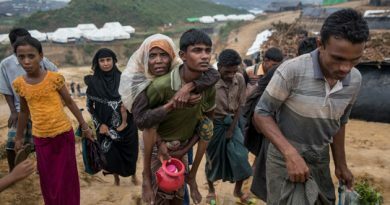 There is no resistance from China and Russia in terms of finding a solution to Rohingya crisis, Rohingya repatriation agreement signed by the two countries has to be implemented, said the UN Security Council. 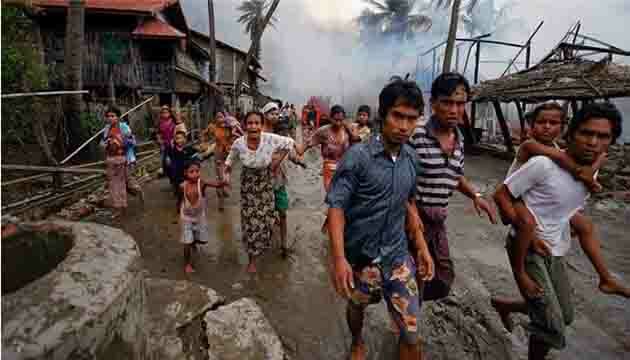 Armed Rohingya group massacred Hindus in Myanmar : Amnesty International report .